Starting from 40 euro/day, we offer you business class car rental services – Volkswagen Passat, an elegant car, which offers maximum comfort and surprises you with its premium features and low fuel consumption. In addition, choosing FocusRent for car rental services, you will benefit of the fastest way of getting into possession of a car, with fast and free delivery in Bucharest. VW Passat is the perfect symbiosis between comfort, elegancy and dynamism, representing the ideal option for persons who drive a lot. The automated driving assistant system can take over the driver’s tasks, while the Infotainment system relaxes you on your way to the destination. A journey at the wheel of a VW Passat ensures complete safety and comfort for you and for all the passengers aboard. Volkswagen Passat is one of the most appreciated cars from our car rental offer, not only for its reliability, but also for the safety and comfort it provides, offering lots of space for both passengers and luggage. VW Passat is a car rental option that will satisfy your needs, whether you want to take a weekend vacation or planning to leave on a long trip in Romania. 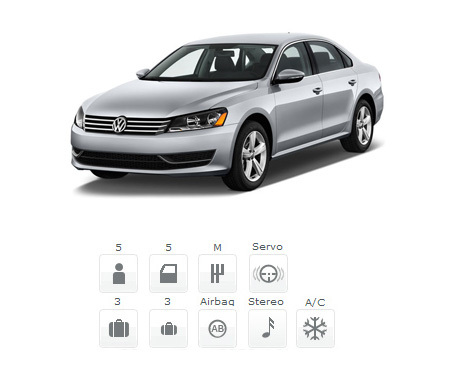 Among the features of this car, available through our car rental services, VW Passat offers: double climatronic, electric windows, alloy wheel rims, heated seats, parking sensors, autopilot, radio/MP3 CD player, airbags, wheel controls, rain and light sensors, computer board, servo direction, central locking. Whenever you need rent a car services, don’t hesitate to choose FocusRent. We offer you competitive prices for car rentals, and premium benefits like: full gas tank, all taxes and insurances included (RCA and full CASCO).